Passed away on Monday November 12th, 2018 at age 72. She was born in Rochester, NY to the late Henry and Marie Hoffman on August 8th, 1946. Barbara graduated from Mercy High School, completed her bachelor’s degree at Rosary Hill College and later obtained the degree of Master of Science in Education from Nazareth College of Rochester. She dedicated much of her life to the youth of the greater Rochester area. She taught several levels of primary school, was a reading and special education teacher, and later served as administrator within the Webster, Pittsford, Spencerport and Fairport school districts. Barbara was a loving wife, wonderful mother and caring sister. She was predeceased by her devoted husband of 41 years, Timothy J. Leach. 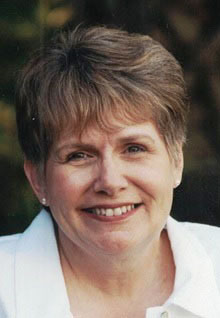 Barbara is survived by her sons, Christopher Leach and his wife Kiersten and Andrew Leach and his wife Melissa; four grandchildren, Benjamin, Jack, Madeline and Katherine. She is also survived by brothers, Thomas Hoffman and David Hoffman; sister-in-law, Patricia Leach. A Funeral Mass celebrating her life will be held on Saturday, November 17th, at 10:30 AM at Sacred Heart Cathedral, 296 Flower City Park, Rochester, NY 14615. Memorial contributions may be made to the Alzheimer’s Association.